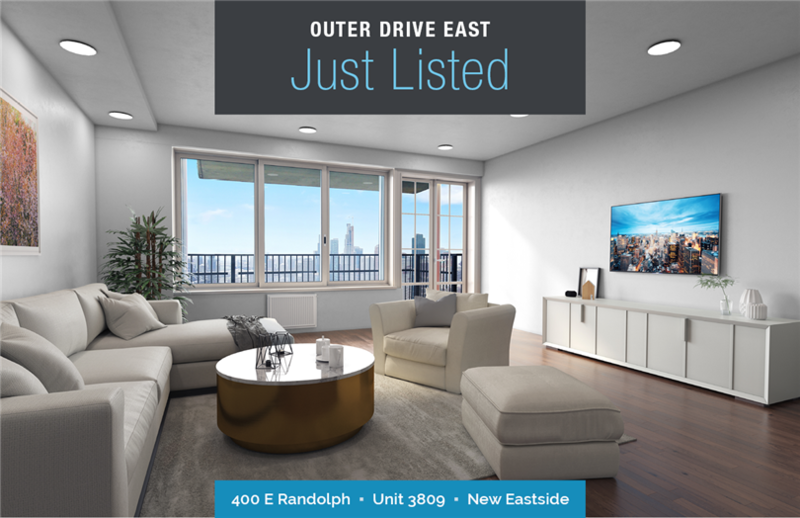 Complete renovation of 2 combined condos with expansive living space, luxury appointments throughout and stunning views is the ultimate city home. Designed with a sleek & clean white/gray pallet with pops of color. The formal living room & casual dining space flow seamlessly along a wall of windows thru the open kitchen into the family room, formal dining space, and wet bar. Lake, harbor, city skyline and millennium park views create a stunning vista both day and night. Split floor plan offers two master suites both en-suite and a third bedroom currently used as an office with a murphy bed. Professionally designed sparing no details with wide-plank wood floors, custom soffits, and lighting, quartz counters, soft close cabinets, open kitchen and wet bar with islands, specially designed pantry with extra storage, wired for sound in the family and formal sitting rooms.2 Balconies adding to the views. Living areas virtually staged. An all amenities building w/ extensive gym, year-round indoor pool.